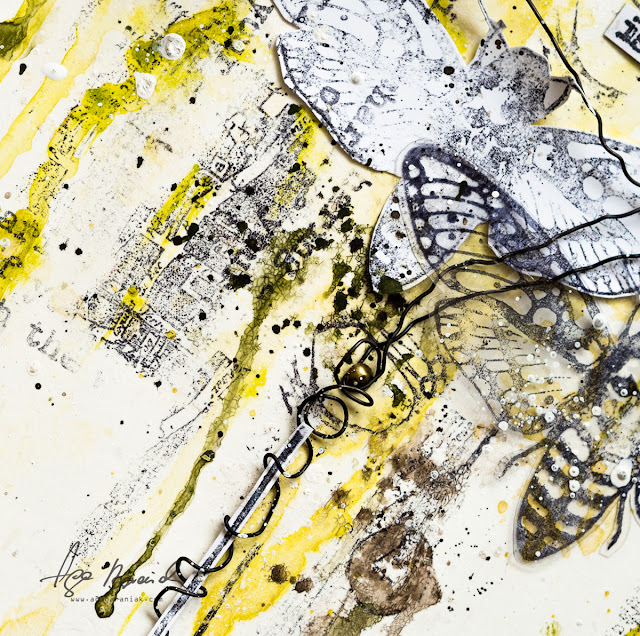 Elisa here from the design team for Visible Image. Here are some close ups ! 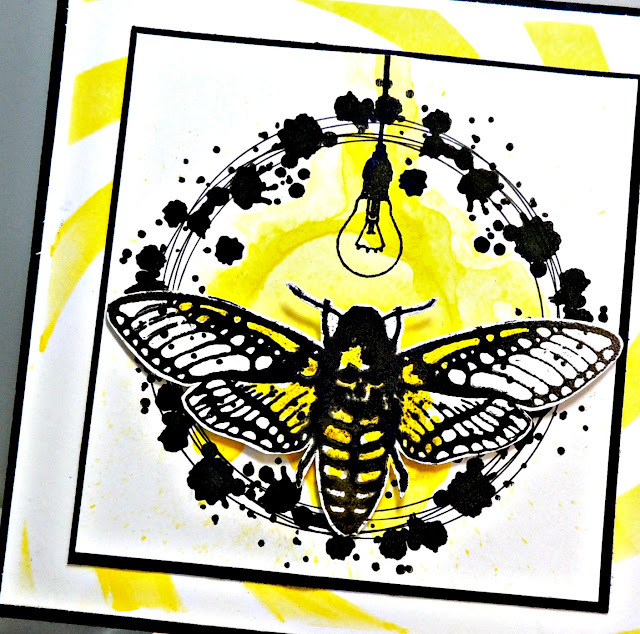 I used a brilliant yellow ink pad and a sponge dabber to dab ink through my background stencil and a yellow ink to add a watercolour effect on my background. 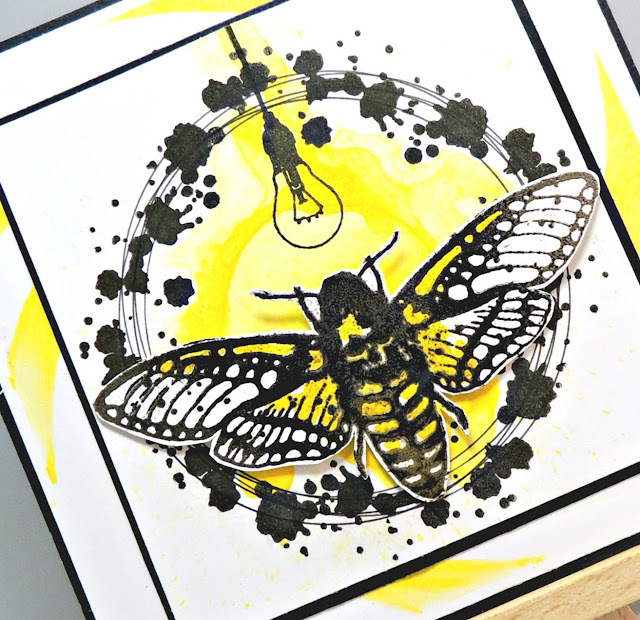 For my moth stamp, I heat embossed with a heavy black and then sprinkled a yellow embossing powder over the top in places to get a two toned effect. 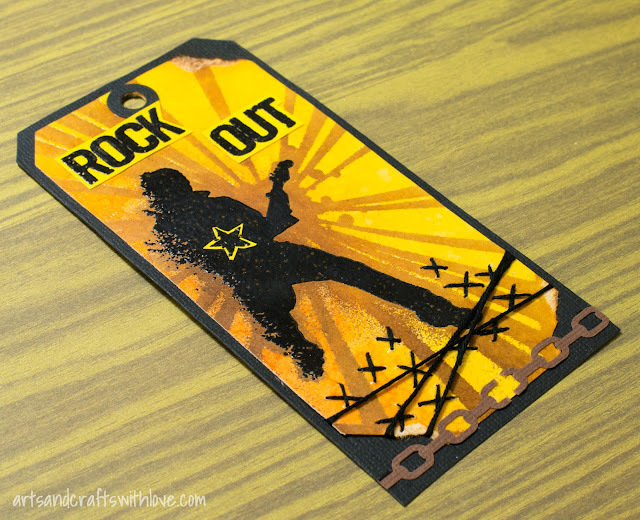 Use 3D mounting tape to create a 3D effect, also add black cardstock to make your card colours pop! 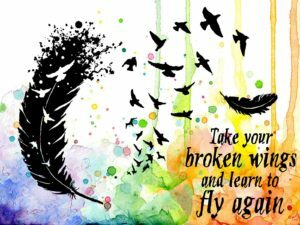 We will be back later with more fantastic inspiration! Happy Sunday, friends! 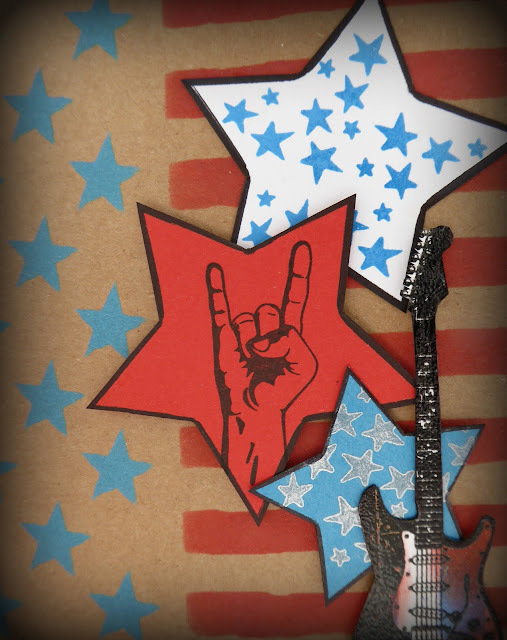 I’m popping in to share a card I just created for Visible Image. I was really really excited to get the Born to Perform set because I don’t have any stamps for dancing or performing arts and this set is super unique and artsy..
One of the techniques I like to use from time-to-time is to use my ink pad directly to press ink on to my paper. 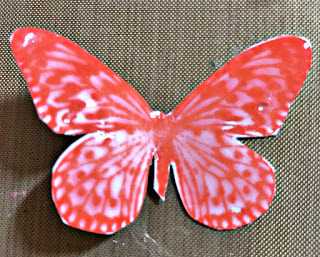 In this case, I used Picked Raspberry Distress Ink and Worn Lipstick Distress Oxide. 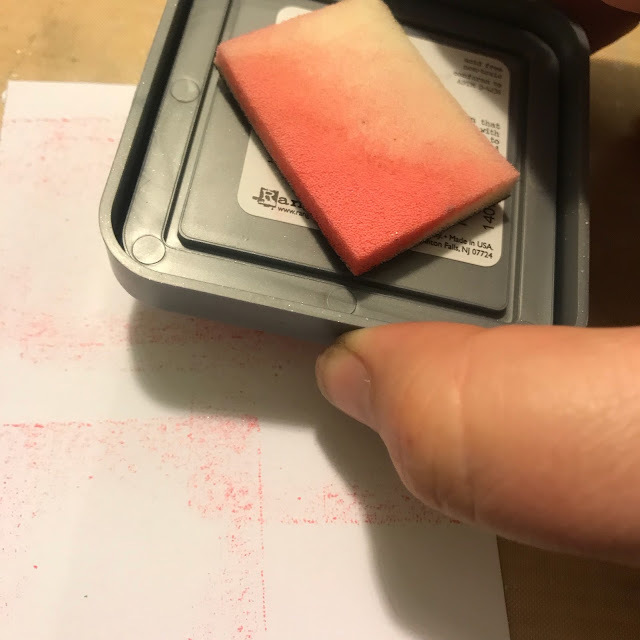 Next, I spritzed the ink with water to let it bleed and soften the hard edges. 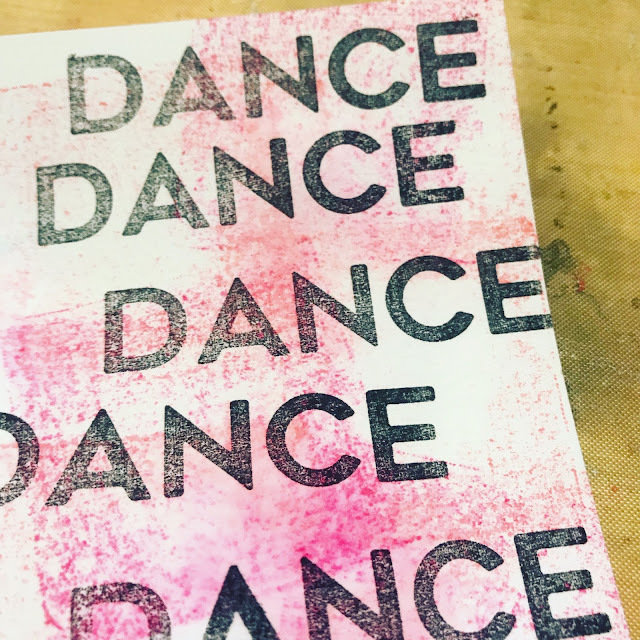 I stamped a series of words to create a graffiti-like effect in the background. 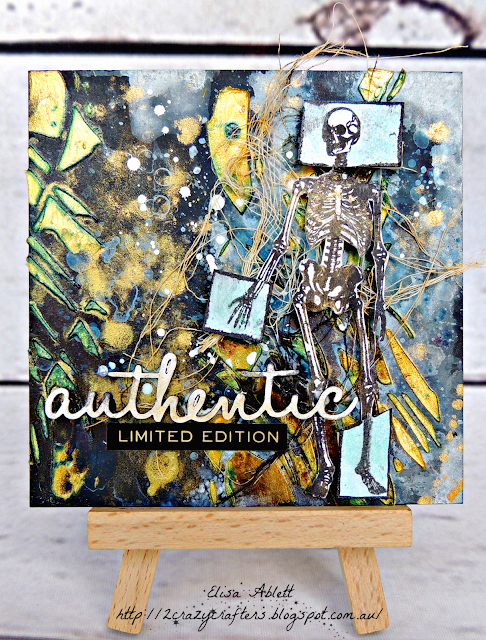 On the bottom layer of my card base, I added a little bit of stamped grunge with the Universal stamp set.. 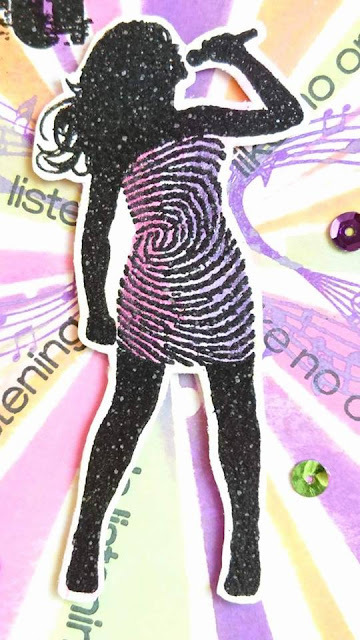 I added some hand-drawn stitching, washi tap and black gemstones, along with a stamped ballet dancer to finish off the design. 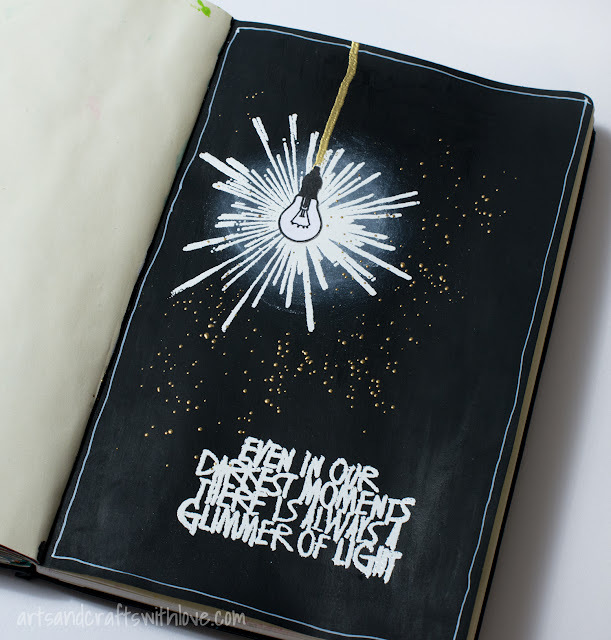 We will be back later with beautiful inspiration from Veerle Moreels. Hello! 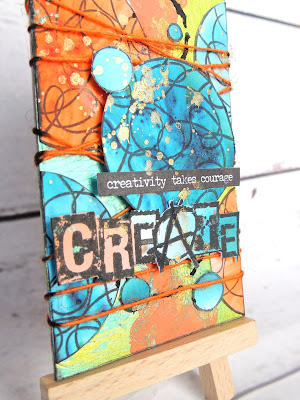 We have fabulous inspiration from Sharon Traynor here on the blog today..
Hi! 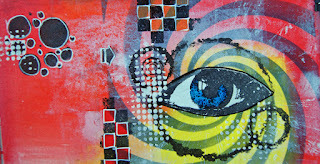 I have a really fun and funky card for you today made with some fabulous Visible Image stamps. I absolutely <3 LOVE <3 these funky lips! I can actually picture my youngest daughter wearing these colours at one of the multitude of festivals she attends each year. Mind you, she’d probably bling it up with glitter or gloss too 😉 That’d be sure to make an impression eh? They are brilliant! 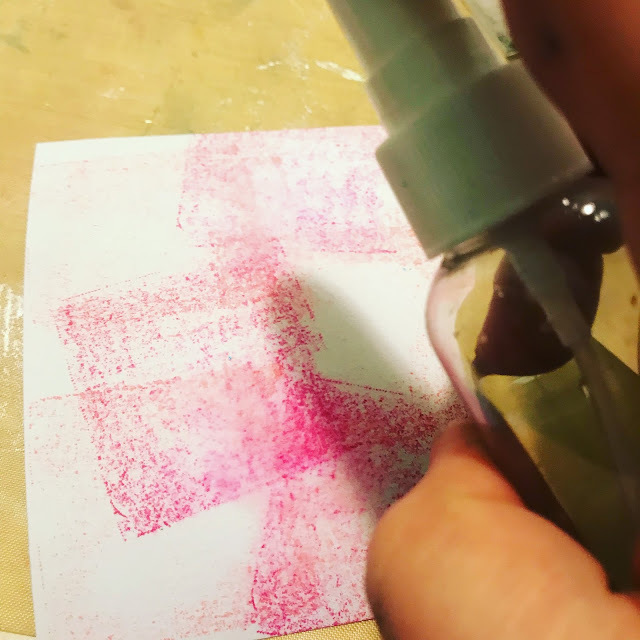 1) Pounce distress stains onto wet watercolour paper (squeezed lemonade, mustard seed, peeled paint, mowed lawn) and spritz with water whilst drying to make a few droplets. 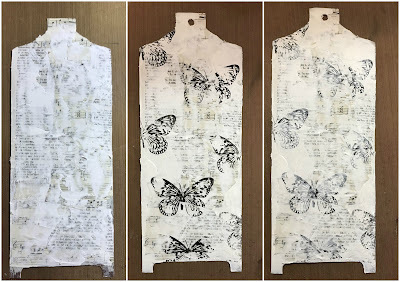 2) When dry use peeled paint distress ink and brush through the fibres stencil. 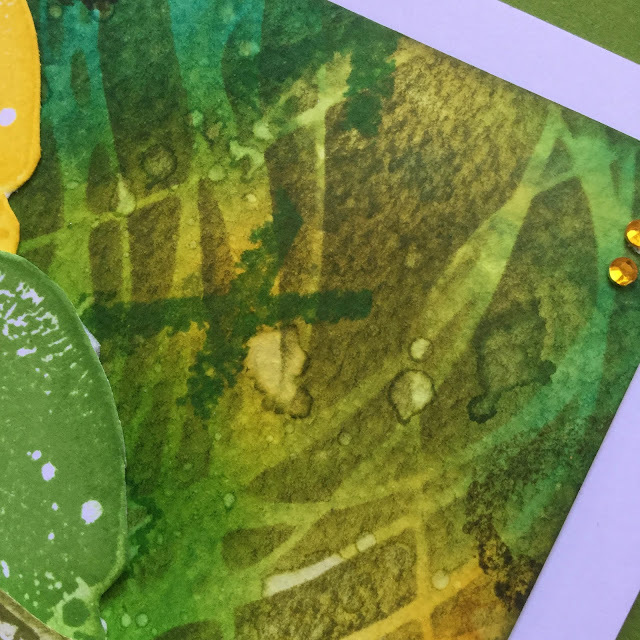 3) Randomly stamp the ‘X’ and ‘O’ from the stamp set over the background in mowed lawn and forest moss distress inks. 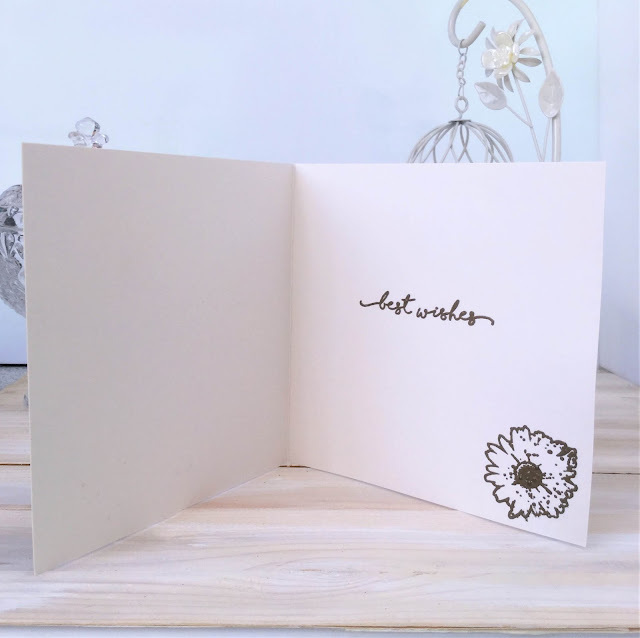 Cut a panel of the watercoloured background down to size for your card blank. 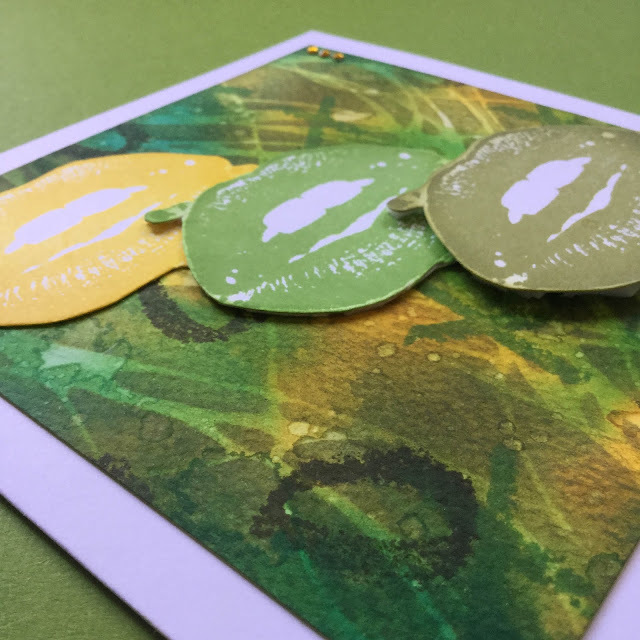 4) On spare card stamp 3 images of the lips, one in mustard seed, one in mowed lawn and one in peeled paint distress ink. Fussy cut the lips then gently blend the matching distress ink around the edges of each lips to blend out any white edges. 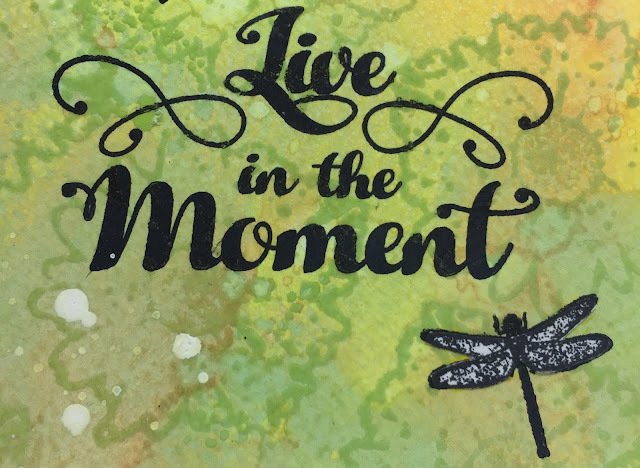 5) Stamp the sentiment onto the front of the card blank in the bottom right corner in peeled paint. 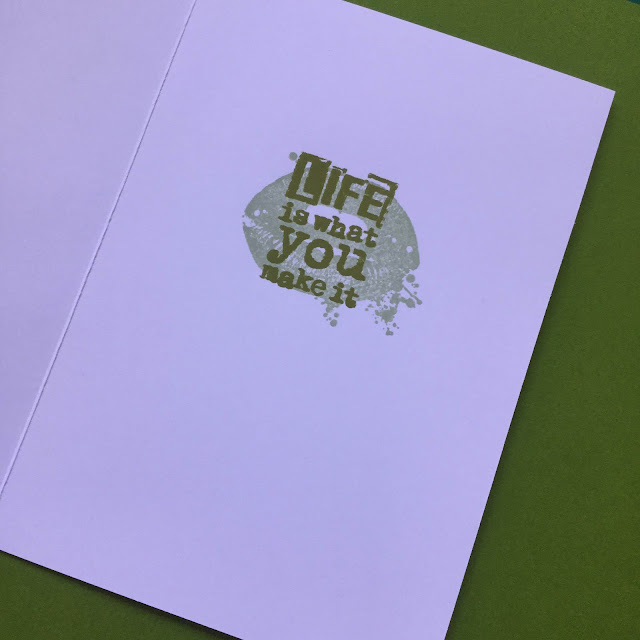 6) On the inside of the card, stamp the lips in bundled sage distress ink. 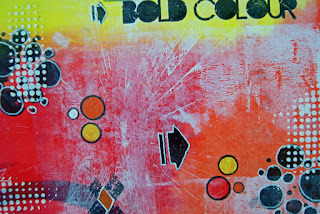 Then stamp over the lips with the sentiment in peeled paint. 7) Adhere the panel to the card front. Add the lips in varying heights of 3d foam pads. Add 3 gold gems to the panel and 2 gold gems either side of the sentiment. Distress Stains: squeezed lemonade, mustard seed, peeled paint, mowed lawn. 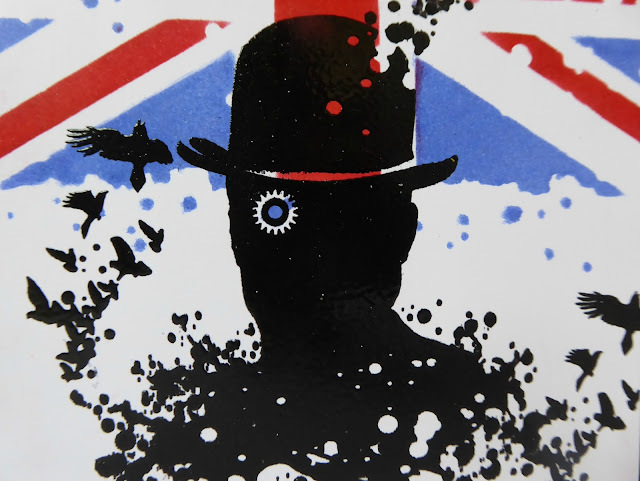 That’s it from me except to say….. 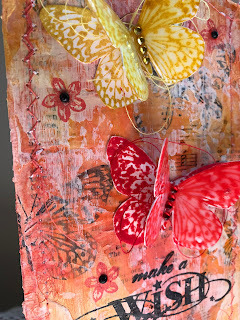 I dare YOU to be a bit different in your stamping colours for images this week. Thanks so much for stopping by and I really hope to see you again soon. 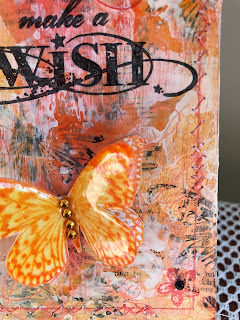 You will find more of Sharon’s fantastic cards over on her blog. 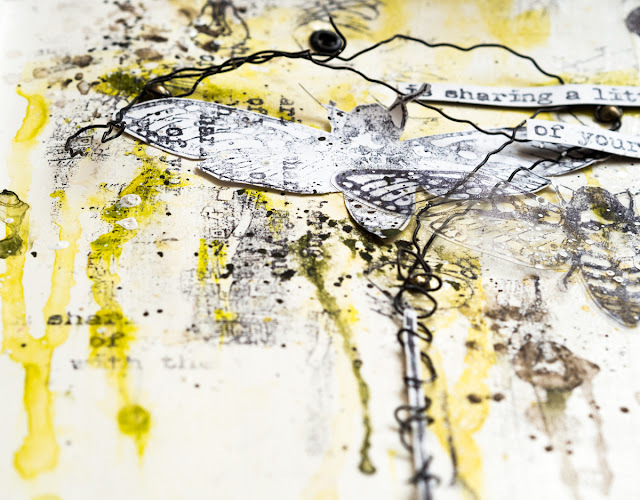 We will be back tomorrow with fabulous inspiration from Josefine Fouarge. Hello!! Thanks for visiting our blog today. 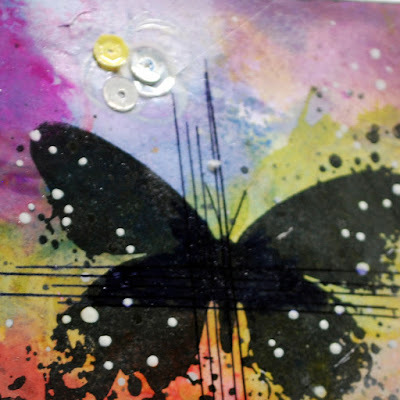 It’s my day to share something I’ve created, using some awesome Visible Image Stamps. 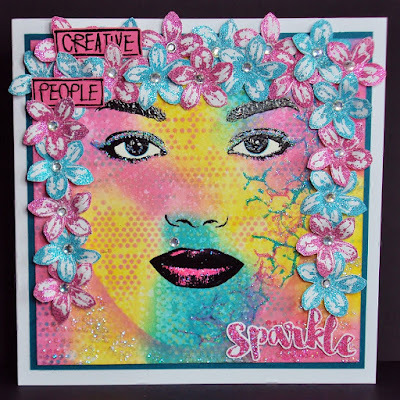 This card is one that I taught in one of my recent Workshops, using the fantastic Sparkle in the Rain stamp set. 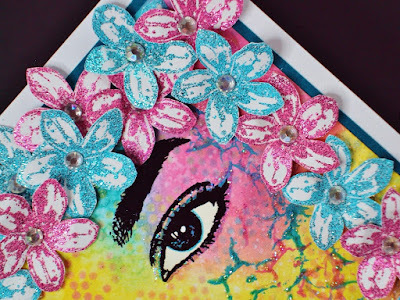 I used watercolour card for this project, stamping the fabulous ‘Rain Lady’ (as I fondly call her) using a Wow Embossing Pad, and then heat embossing with Ebony embossing powder. 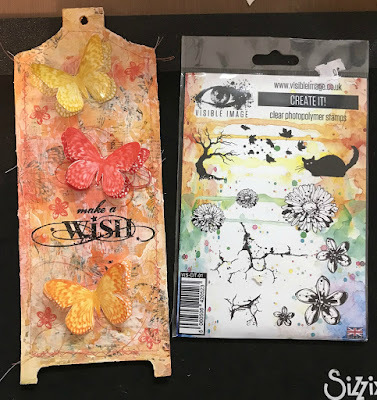 Next I spritzed some coloured Prima Bloom sprays onto the card, and sprinkled some Brusho’s onto the wet card, also spritzing with a little water to spread the colour about, I left this to dry naturally. When it was dry, there is a subtle sheen to the card, from the mica powder in the Bloom sprays. 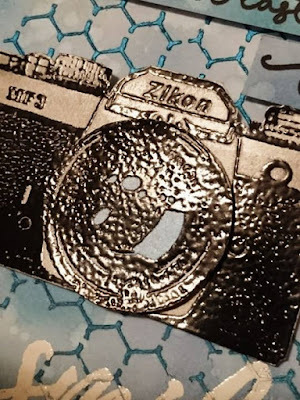 Masking off ‘Rain Lady’, I used the Rain stamp, with the embossing pad, and heat embossed using a clear powder, this gave me a slightly wet rain look, over this I stamped again with the embossing pad, but this time I heat embossed with ‘White puff Twinkle’ powder. I also used ‘white Puff Twinkle’ for the sentiment and the ‘puddles’. I finished off with some Stardust Stickles. Awesome card Pauline! The rain looks brilliant against your fabulous background! 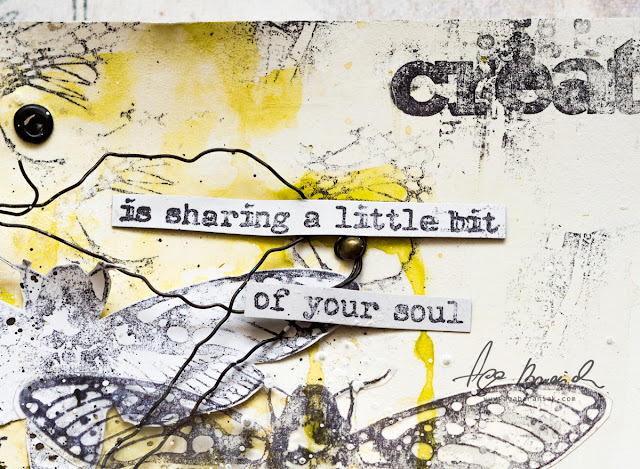 We will be back tomorrow with stunning inspiration from Veerle. Good Evening! 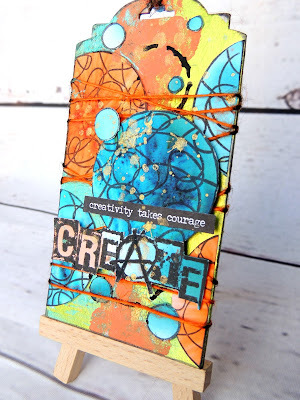 We have even more awesome inspiration for you here on the blog today! 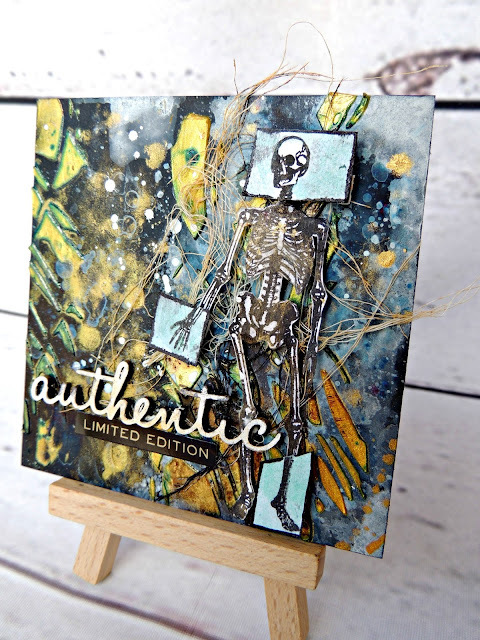 Lisa Taggart has got her hands on our amazing horse stamp..
Today I’m sharing a card using a fabulous stamp set and stencil from Visible image. 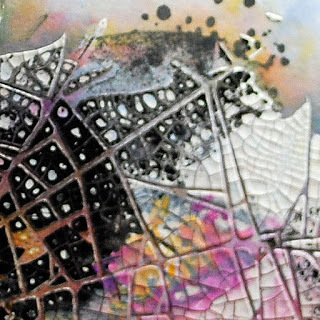 It’s a little experimental discovering the effects of yupo paper, alcohol inks and alcohol markers. 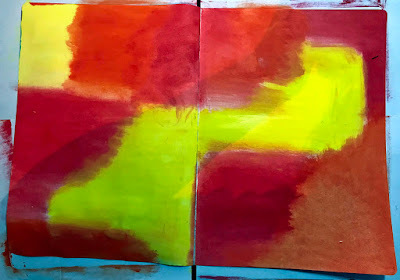 I was trying to create the impression of energy and motion. So here’s the result! 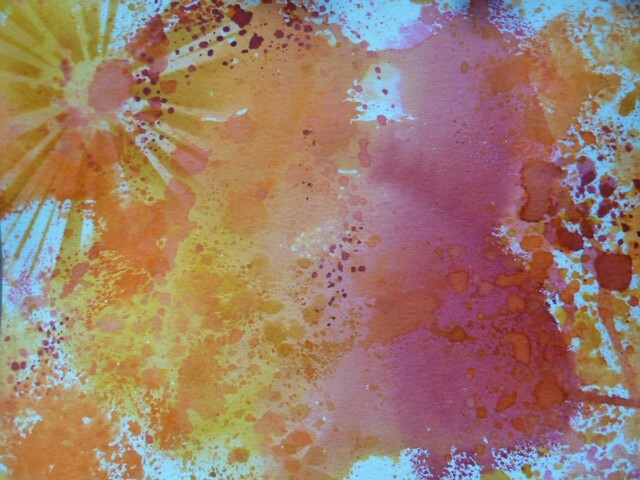 To begin I randomly placed some alcohol inks onto the yupo paper and let them do their own thing. 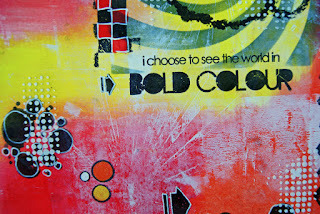 Taking the stencil I selected part of it and did a link up repeat across the page using a blue permanent ink. 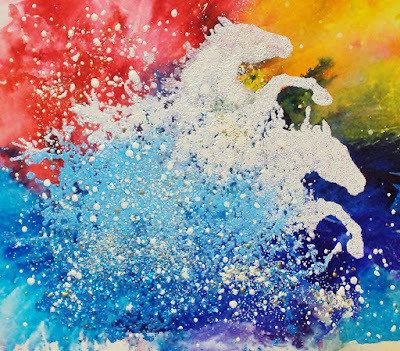 I stamped the main image in black permanent ink and the little background horses in blue. To break up the black on the main image and to create a water in motion type effect I decided to draw some bubbles across the design. This was easy to achieve. 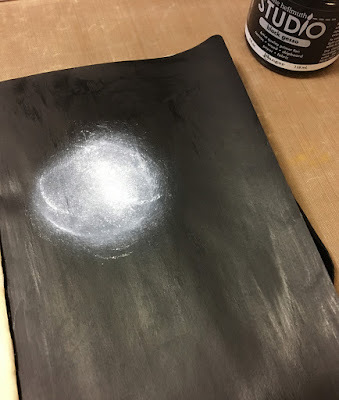 Taking a alcohol blender pen I removed the ink by drawing circles. 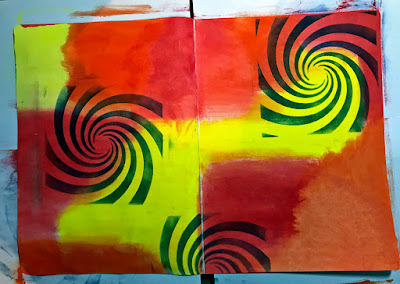 I then highlighted these with blue and white pens to create dimension. 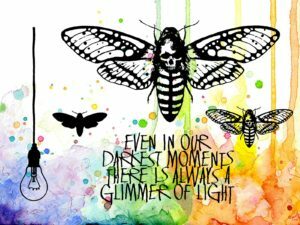 The sky was highlighted with pink and yellow ink and some extra detail was added using blue and green alcohol marker pens. Dots of diamond stickle were also added for a little sparkle ! 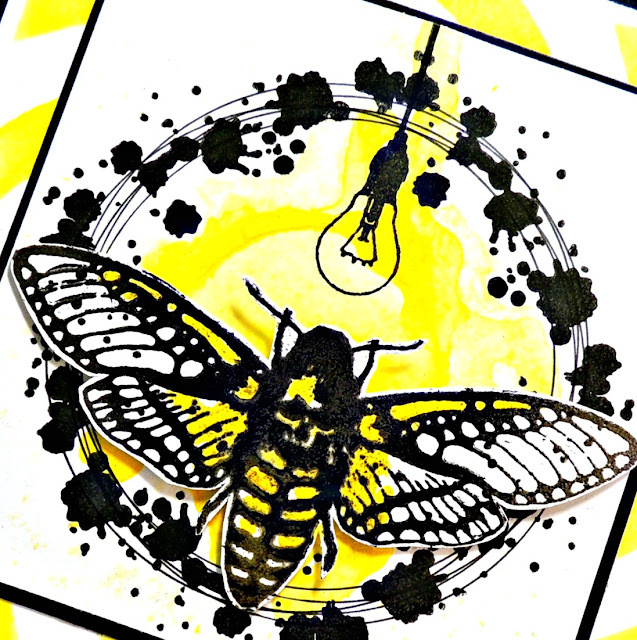 The sentiment was stamped in black, inked in pink and mounted onto yellow. 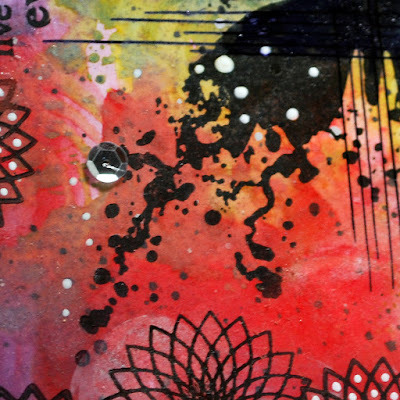 The artwork was matted onto pink Centura pearl and black card. 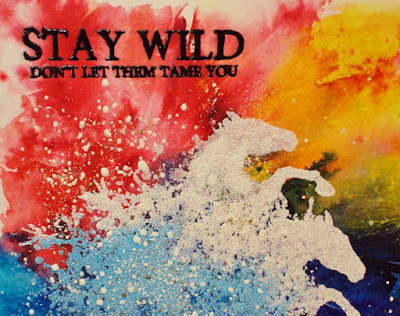 It’s certainly a bit wild! 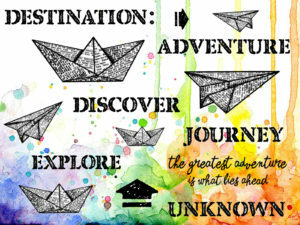 The stamps really inspired me. Hope you like it. 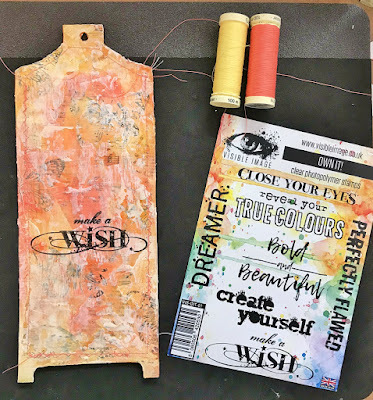 We will be back tomorrow with a beautiful scrapbook layout from Elisa Ablett. Good Evening and Happy Friday to you!! It’s been a very busy and exciting week here, so we are looking forward to a little ‘time out’ this weekend. 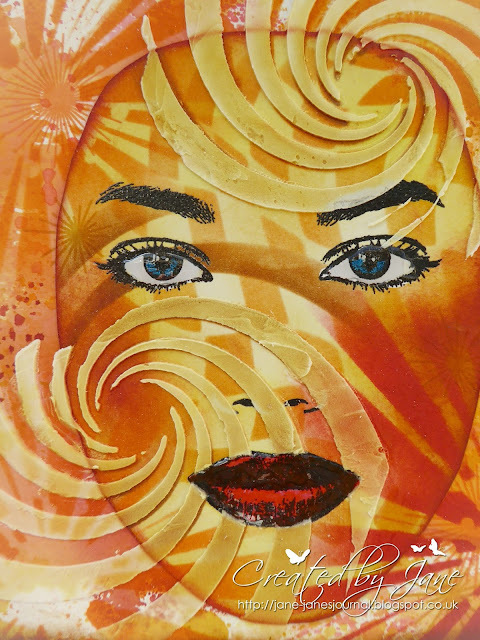 Just popping in to share my ‘Visible Image’ make for this week, after all it is Fabulous Friday !!!! The stamps I used on this card are.. 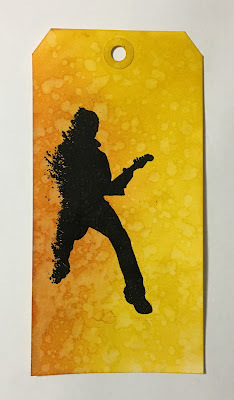 I created the background using the ‘straight to paper’ technique, using Picked Raspberry, Salty Ocean and Mustard Seed distress inks. I then stamped the cat’s face using Versafine Onyx Black. I then stippled the face using a small stencil brush and Carved Pumpkin distress inks, I also stamped the three little cats in the same colour. 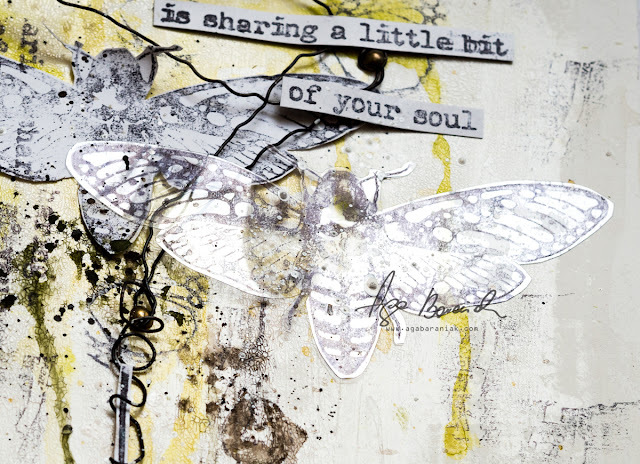 The sentiment was stamped again using Versafine, masking off the bits I didn’t want. I do love this cute Puddy Tat !!!! 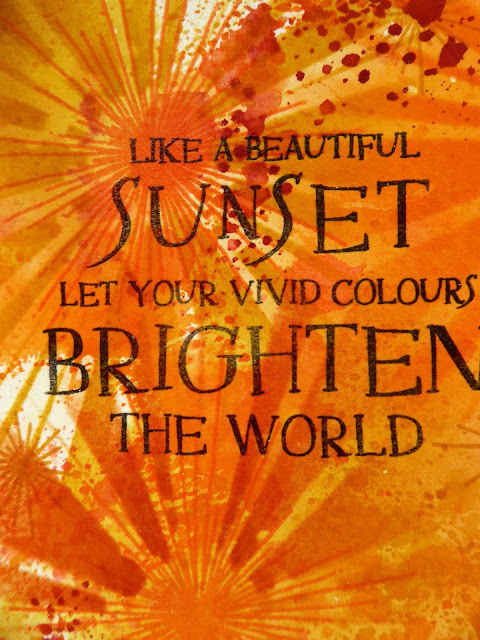 We hope you have a fantastic weekend.. we will be back tomorrow with more fantastic inspiration for you. Hello there. 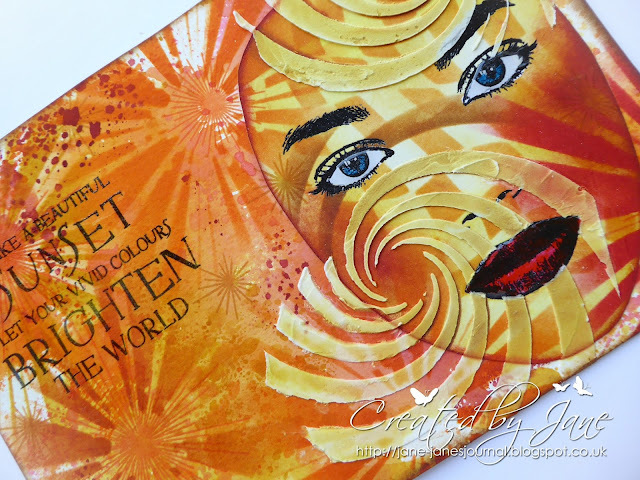 I’m here today to share a card I made with some brilliant Visible Image stamps. Crikey! 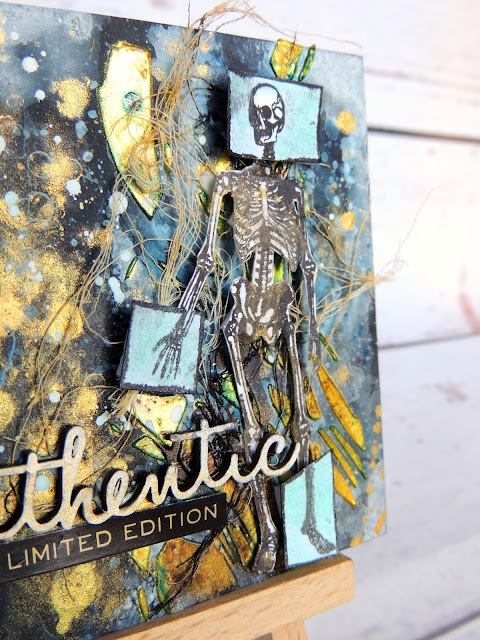 This card is something very different to the beautiful, colourful and inky creations the rest of the design team are making (and I will make in the future). 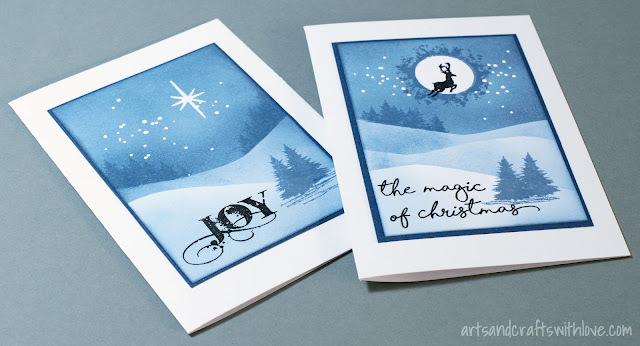 But, I thought I would dare to be different and make a really classic card to show that these stamps look amazing with both a non-inky treatment as well as in amazing colours. I haven’t really seen the Visible Image stamps used in this classic way before so hopefully it may spark your imagination to try something similar with their other stamp sets. Mind you, I must admit I am really looking forward to using this set with vibrant colours too! Anyway, hopefully I’ve hit an elegant note with this one? 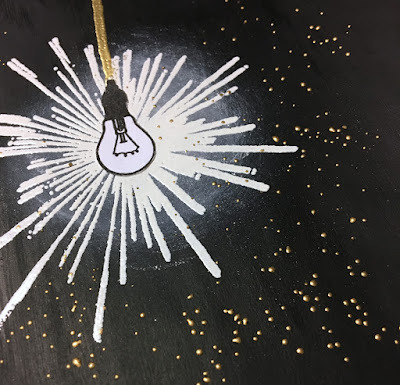 This card is so easy to make and you don’t need a ton of supplies so it’s very easy on your budget. 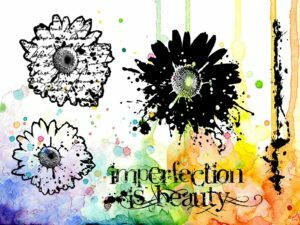 The flower and sentiment come from the Imperfection is Beauty Visible Image stamp set. 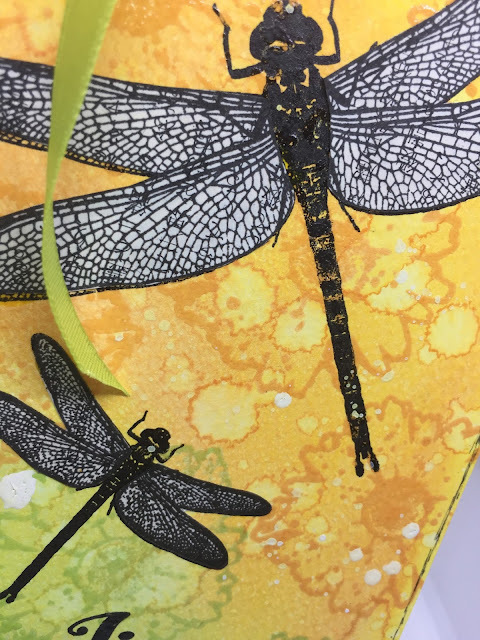 I stamped the filled-in flower 3 times onto black glossy card stock with clear versamark ink and heat embossed in Stampendous Pirate Gold embossing powder. One stamped image was used for the background, another I cut freehand to make the raised 3d flower and on the final image I cut around the centre. The cut flower was curled carefuly with a bone folder. You have to be careful to avoid cracking the heat embossing. 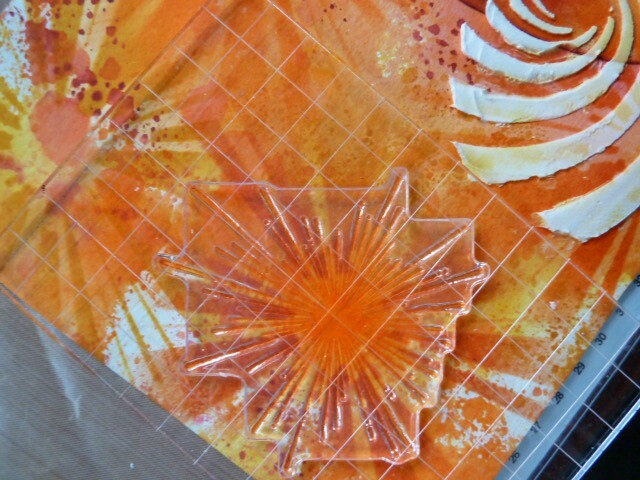 It was attached directly onto the background flower and the centre was added popped up on a 3d foam pad. 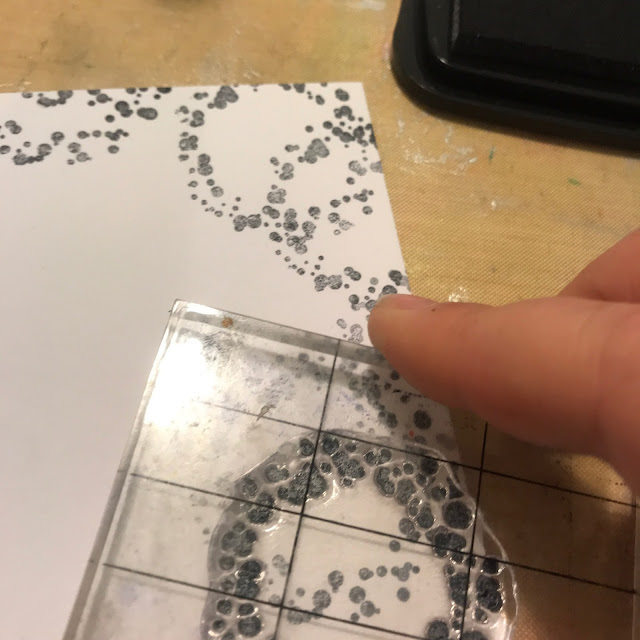 TIP: if your black cardstock has a white core, you can cover the white edges up by running a black sharpie pen around the cut areas. 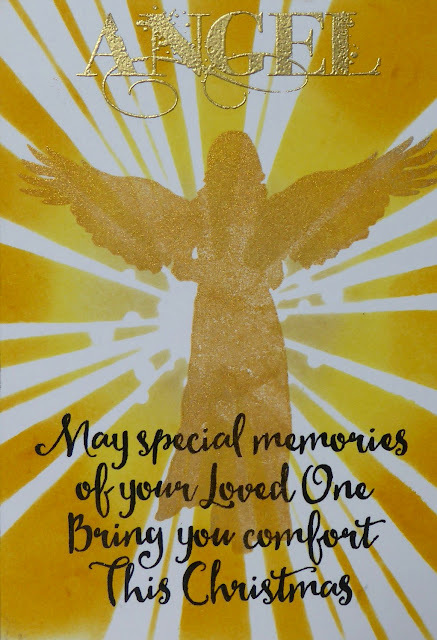 The sentiment from the same set was stamped and embossed in the same way onto another piece of black glossy card and this was matted onto a card base made from a brushed gold piece of card folded and cut to create a 15cm x 15cm card blank. 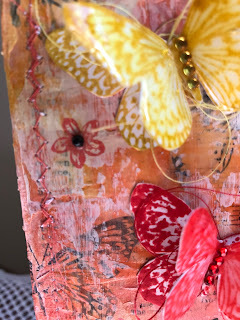 I finished the inside by using the small flower from the same stamps set and a sentiment from the Go To Words set and heat embossing those in pirate gold too. 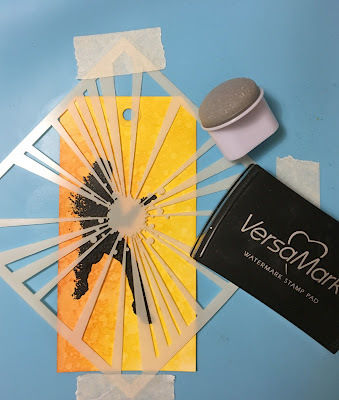 Versamark clear ink, Stampendous pirate gold embossing powder, black glossy cardstock, brushed gold card, 3dfoam pad. 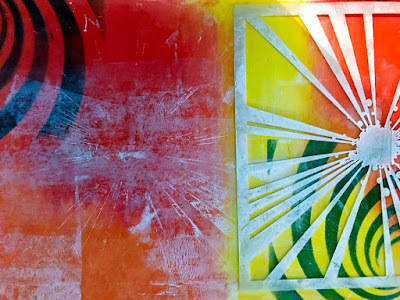 We will be back tomorrow with some fabulous Friday inspiration from Pauline Butcher. 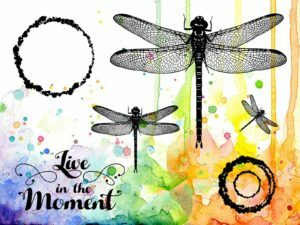 Today I am sharing the first of several samples I have made for the launch of the new stencils on Create and Craft TV on Sept 8th & 9th! 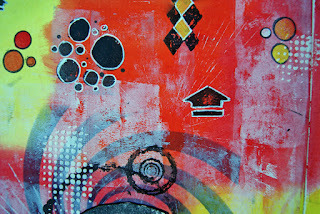 I used Distress Oxide inks to create the vibrant colourful background, stamping with black Archival ink. 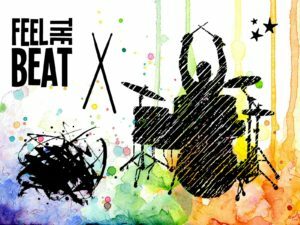 The wavy design of the ‘Fibres’ stencil gives the impression of movement and works so well with the ‘Jazz It Up’ characters.